Next, M & S, Porsche, Ted Baker…Porsche? Buying a car isn’t really something you tend to do on impulse, not in the same way that you would pick up a pair of shoes or a sensational tie, but the car industry is shifting with the purchasing habits of the masses. I’m talking about the advent of showrooms popping up in shopping centres. When you stop to think about it, this actually makes a lot of sense. Huge footfall, massive brand awareness and a huge captive audience of people who would rather look at a car than do one hundred laps of Boots (particularly with Christmas looming). 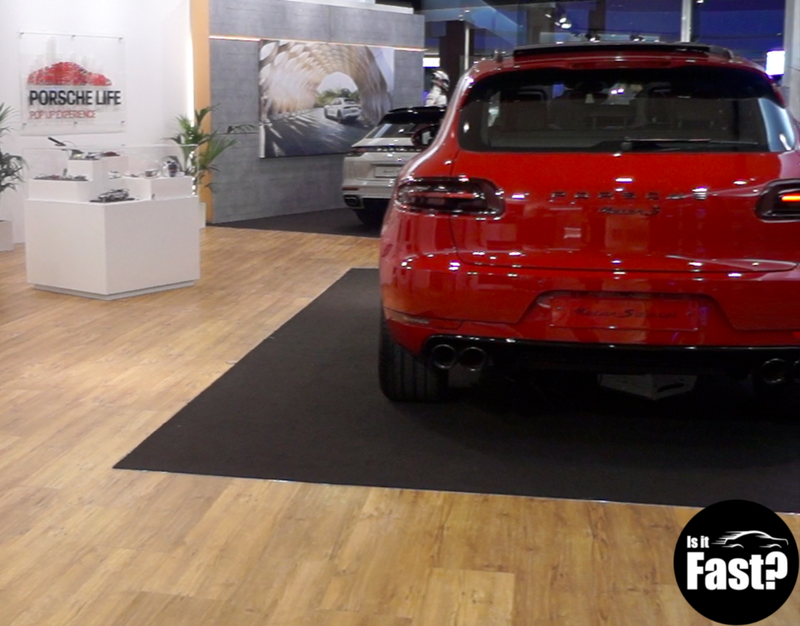 I was lucky enough to visit Porsche Life at Bluewater. It was the opening of this particular showroom that convinced me the way we view the industry, and even purchase our vehicles, is changing. Bluewater already has a number of manufacturers in place, Porsche arriving however sends a very different message. Porsche having a presence, all be it only over Christmas, really highlights that the way we interact with cars is changing. It puts cars at the centre of our minds when we are thinking about disposing of our income, it makes a car brand truly desirable and, in my opinion, puts cars above being a necessity and into the realm of a statement. Being in a shopping centre, surrounded by big clothing and electronic brands, changes the way we see cars psychologically. One of the best views from a window we've seen in some time. I think it is a brilliant move. Buying a car, or even looking at one, can be difficult, particularly if it is a prestige brand. Most people won’t get an opportunity to sit in their dream car. By opening in Bluewater, Porsche have without a doubt made peoples day, maybe even their year. I was filming some cut shots of the 911 GTS, a particular highlight of my evening, and a gentlemen came in looking awestruck. I removed myself from the 911 and, being the type of chap I am, invited him to sit in the drivers seat that I had just vacated. 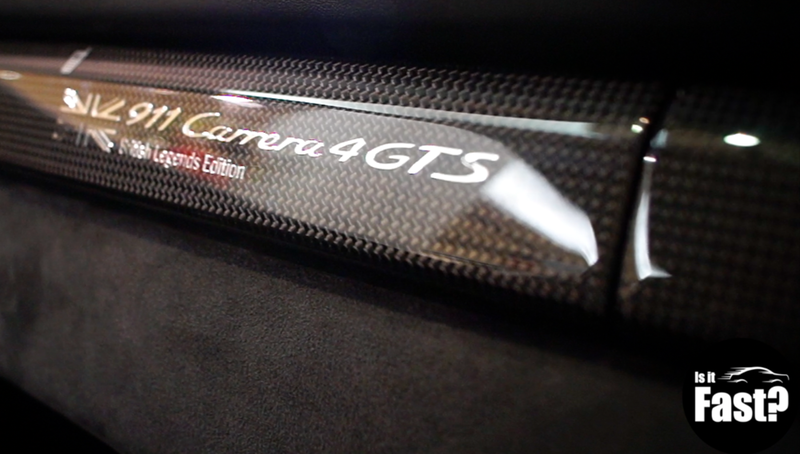 He was visibly blown away that he was sitting in a limited edition, 911 GTS. I found out later that he had always dreamed of owning a Porsche 911 but this was the first time he had been able to sit in one. Fair enough he didn’t leave the shop owning one, but I bet sitting in that GTS was a pretty good feeling. So well done Porsche for being brave. You are going to make a lot of people very happy by simply existing as an oasis of petrol heaven in a desert of shopping madness. 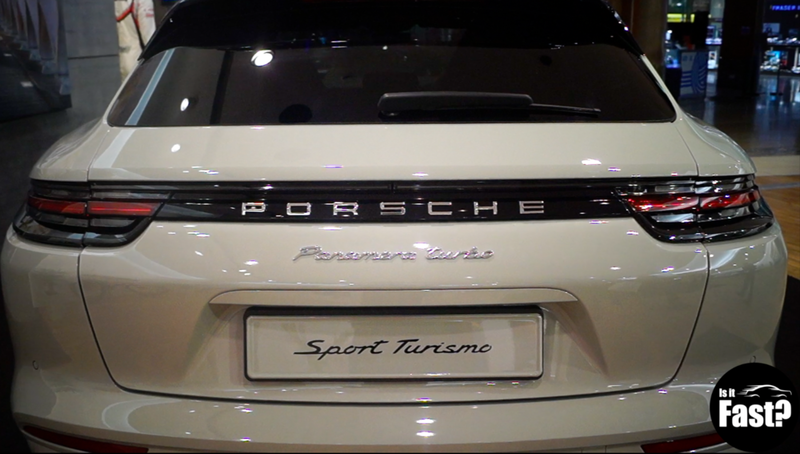 What can you see if you head down to Porsche at Bluewater? In stock is a limited edition, British Legends trim 911 GTS belonging to 2015 Le Mans winner Nick Tandy, which is one of the most beautiful cars I’ve ever been around. You’ll find a bright red Macan, which is always nice and, interestingly, the brand new Porsche Panamera Turbo Sport Turismo. A car we would love to take out on the road but I can confirm, standing still, it looks very nice. The showroom itself is finished to a high standard. There are some lovely offices, tonnes of Porsche merchandise and memorabilia around and it is just a nice place to be. Chatting to the manager in there was a real pleasure, a car lover through and through, what he didn’t know about Porsche wasn’t worth knowing. 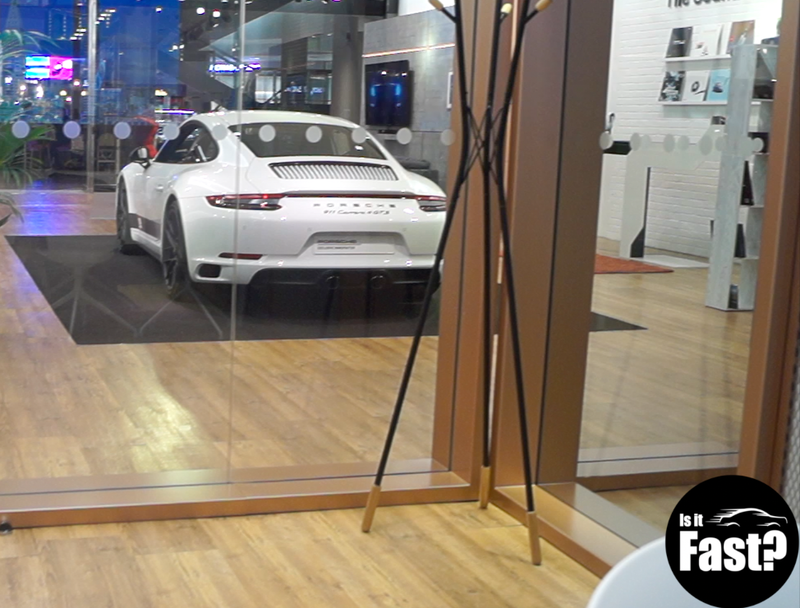 Overall, standing in a Porsche pop up in Bluewater was a great change from the usual shopping experience and it was the one shop in the centre I wish I’d bought something to take home. The Porsche life Pop Up Experience will be at Bluewater between Friday 3 November 2017 to Sunday 7 January 2018, head down for a look, you won’t leave disappointed. Newer PostWhat does the F stand for?